Catalog Home > Glittering Confetti, 4 oz. asst. 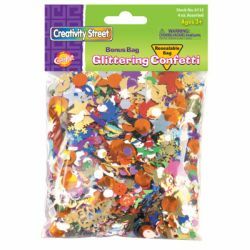 Glittering Confetti, 4 oz. asst. Decorate drawings, cards, collages, paintings, and more! 4 oz.